The Heritage Collection has been designed and produced for the discerning modern man who demands quality, comfort, attitude, and style in his apparel - all that at a fair price. 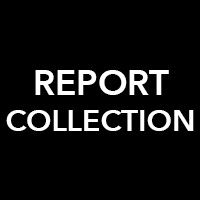 The Report Collection Heritage Man expects the look of his clothes to express his modern approach, while conveying a timeless attitude of quiet confidence. Each and every garment has been designed for comfort, featuring an engineered cut that assures a stylish point of view. All heritage pieces have been carefully washed in eco-friendly solutions, utilizing our special snow wash technique providing a super soft hand feel. We have developed the perfect balance between a weathered and a clean appearance - it is simply known as HERITAGE by Report Collection. No two pieces will be exactly alike, the Heritage Process assures something special in each garment.